Pets are kept in a familiar environment, with normal diet and exercise routines, along with personal attention. This service eliminates exposure to illnesses of other animals in a group type situation away from home. You no longer have to impose on friends, family or neighbors. The professional pet sitter has responsibility for both your pet and your home, and we take this responsibility very seriously. We love animals and it shows. We treat all animals in our care as if they were our own. We have natural disaster plans in effect in case of emergency. We regularly attend conventions & continuing education related to pet sitting in order to bring you the best in home pet care. We provide references on request. Rest assured our pet sitting services are customized to your needs, so that in your absence you can rest easy knowing that we are caring for your pet the way you would like done. We are happy to reinforce techniques you’ve already set in place to make sure each pet is being cared for in a consistent, structured manner. Just let us know your routine, and we will happily accommodate! 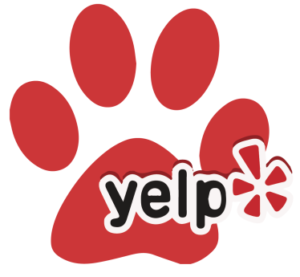 Our team is composed of experienced, loving, and kind pet sitters, trained to care for your animals in every way. 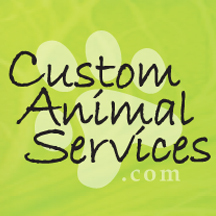 We have worked with dogs, cats, reptiles, birds, fish, horses, and everything in between! At Custom Animal Services, we strive to build a relationship with your pet, so that when you are away, we can be the familiar friend your pets will be excited to see! We know your pet is a member of your family and their happiness is more than just food and water – it’s about love, companionship, and understanding each pet’s unique personality! We treat your kids like our own!